Disney’s The Lodge has started filming its second season in Northern Ireland. The British Disney musical series became the highest rated series debut in four years on the channel when it first premiered on Disney Channel UK last September. The show has since premiered to similar success in Germany, Denmark, Sweden and Norway, amassing over 14 million views in total across all networks. The story follows 15-year-old Skye (Sophie Simnett), an enthusiastic young ingenue who moves from the city to the country to redevelop her family’s lodge. In the country, she makes incredible friends, finds herself stuck in a love triangle and becomes embroiled in an exciting mystery. 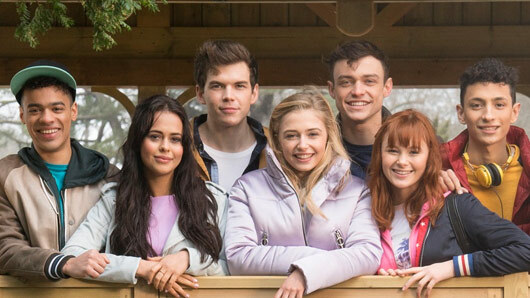 The second series will see Skye and her friends Sean (Thomas Doherty), Ben (Luke Newton), Kaylee (Jade Alleyne), Noah (Jayden Revri), and Danielle (Bethan Wright) solve a new mystery while navigating new challenges and their increasingly complicated relationships. Eleven brand new musical numbers are planned for the series to follow the success of the season one hits ‘Believe That’ and ‘Starting Over, Starting Now’. Exclusive digital content to accompany the series will also continue to be available online. Disney boss David Levine said: “It’s been great to see our audience embracing The Lodge, both on-air where it became the best-rated series debut in four years in the UK, and online, where videos from the series have attracted over fourteen million views to date.